Jotech from Garland, Texas posted up some pictures and information on a track R35 GT-R that they are building for a customer. The STILLEN / Penske two-way adjustable shock bodies for the R35 are constructed out of CNC machined 6061-T6 billet aluminum for lighter weight and cooler operating temperatures. These shocks are machined with the tightest tolerances possible to ensure smooth operation and eliminate any fluid by-pass or restriction during the shock stroke. 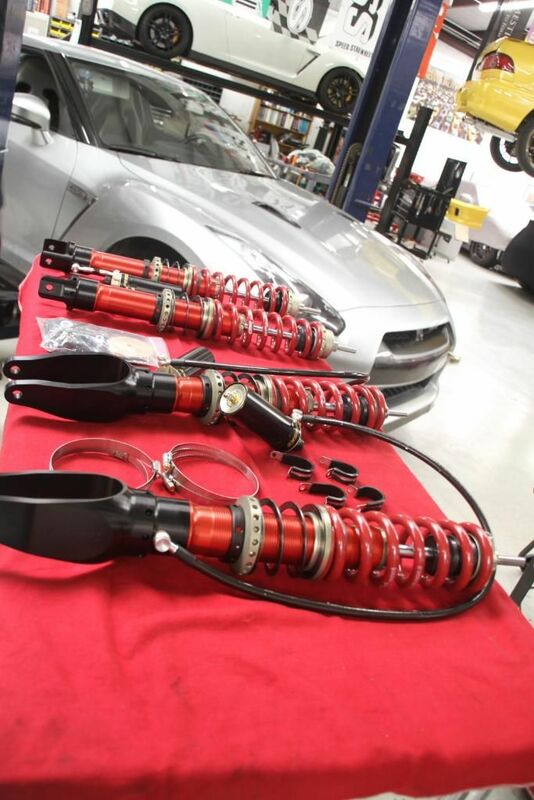 Each shock is hand built by the same technicians assembling shocks for the world’s best race cars. 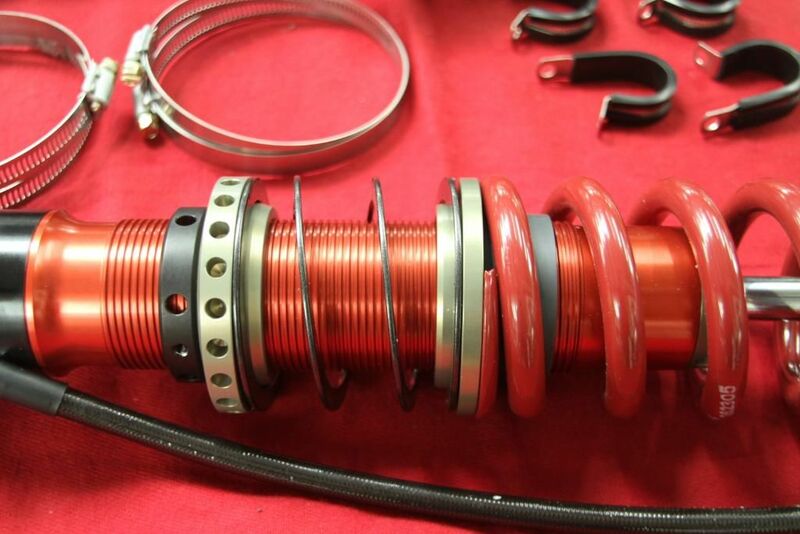 After assembly, every shock is put on to the Penske shock dyno and tested/inspected to ensure flawless performance. One of the biggest benefits of the STILLEN / Penske shock is the ease of adjustment. The adjustment areas are very easy to access, without having to even remove the tires from the car. With compression (bump) adjustments located on the reservoir canister and rebound adjustment knobs located on top of the shocks you can completely and precisely adjust your suspension in five minutes or less. These shocks are available in a standard form as tested by STILLEN. They are proven to withstand any environment, and were used at the 2009 Targa Newfoundland Rally and will arrive to you with pre-set recommended settings for rebound and compression. These also come pre-assembled with Eibach racing springs. In addition, STILLEN and Penske are also proud to offer the Penske Custom Axis line, which allows for completely custom shocks to be tailor-made to your request. Would you like a less expensive single way adjustable shock? A more exotic three way adjustable shock? Quick disconnects on the remote reservoir lines for easier installation? Whatever your needs we can accommodate. We will also work with Eibach to alter the spring rate based upon your setup preferences. Would you like a stiffer spring? A softer spring? We have all options available. The OEM spring and damper weigh 61 lbs, the Penskes come in at 39 lbs, taking 22 lbs of weight off the car. About 1/2 the weight of a coil over is unsprung, and reducing unsprung weight helps with ride and overall handling. The Penske's are great value for the money.